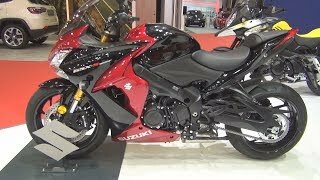 This new 2018 Suzuki GSX-S1000F ABS Motorcycle for sale has 0 miles. The color is . It is offered for sale by Good Times Motorsports and located in Sacramento, CA. The listing # is 66310. As low as 0% APR financing for 60 months on new Model is available through Sheffield Financial, a Division of Branch Banking and Trust Company. Member FDIC. Program minimum amount financed is $1,500; Maximum Amount Financed $50,000. Not all buyers will qualify. Approval, and any rates and terms provided, are based on credit worthiness. Example: On a purchase where the Amount Financed is $7,500, your Down Payment is $0 with 60 monthly payments of $125.00 each. Interest Rate is 0% [ANNUAL PERCENTAGE RATE is 0%]. Financing promotions void where prohibited. Offer effective from a participating authorized Suzuki dealer between 2/1/19 and 4/30/19. Offer subject to change without notice. It's more than just an attitude, a spirit, or a lineage though; it's about performance-packed hard parts evolving from one generation to the next. 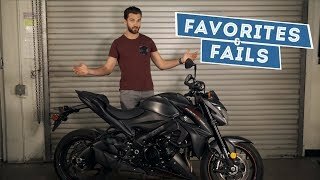 The 2018 GSX-S1000F ABS is powered by a 999cc inline four-cylinder powerplant which makes more power and torque that's ideal street-riding. It's no surprise that this powerhouse is based on the legendary long-stroke GSX-R1000 engine which was famous for making big power through the low and mid-range to deliver street-dominating performance. 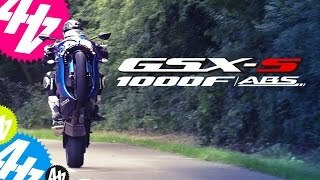 Equipped with a powerful engine, Suzuki's Advanced Traction Control System**, a balanced KYB suspension, plus ABS-equipped Brembo and NISSIN brakes, the GSX-S1000F ABS is a street bike packed with some serious performance. Top that performance off with wild, rugged, and aggressive styling, a wind-cheating fairing and screen, and you have a touring-ready sportbike ready for the open road or corner carving. **The Traction Control System is not a substitute for the rider's throttle control. It cannot prevent loss of traction due to excessive speed when the rider enters a turn and/or applies the brakes. Neither can it prevent the front wheel from losing grip. The average price of a 2018 Motorcycle for sale is $9254.31. This model is priced $2044.69 more. The average price of a 2018 Suzuki Motorcycle for sale is $7984.01. This model is priced $3314.99 more. If you looked at the average 2017 Suzuki Motorcycle for sale it would cost $3265.90 less. If you looked at the average 2019 Suzuki Motorcycle for sale it would cost $3070.62 less. 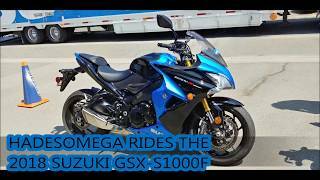 The average price of a 2018 Suzuki GSX-S1000F ABS Motorcycle for sale is $9815.00. This model is priced $1484.00 more. 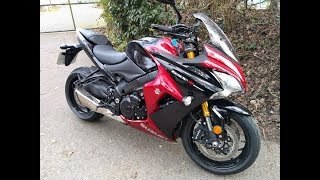 The average 2018 Suzuki GSX-S1000F ABS Motorcycle for sale has 84 miles. This model has 84 less miles. There are 6 Suzuki GSX-S1000F ABS Motorcycles for sale within 150 miles of Sacramento, CA. 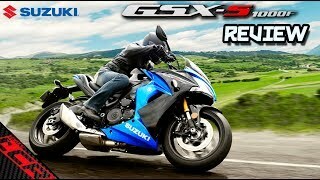 If you looked at the average 2017 Suzuki GSX-S1000F ABS Motorcycle for sale it would cost $3802.00 less. 4. 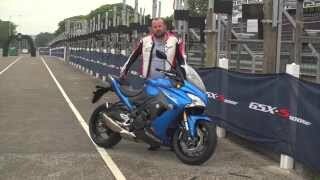 Suzuki GSX-S1000F Full review. 7. 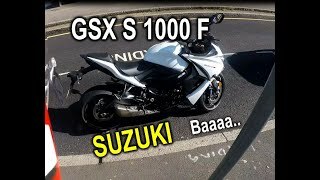 Suzuki GSX S 1000 F Review - A sheep in sheep's clothing?